Loved seeing this outfit in action (and finally meeting Ryan!) on Friday!! Hope you have a good week, friend! The shoes!! I love the shoes!! 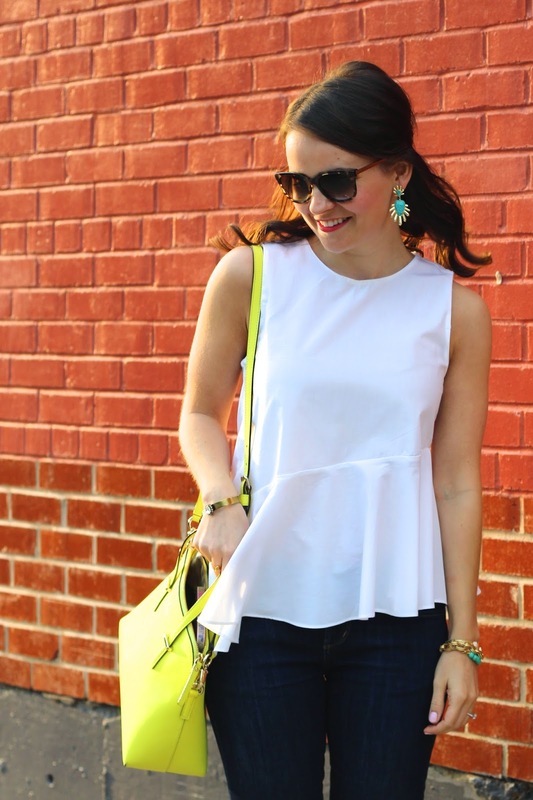 Love a peplum top! So flattering. 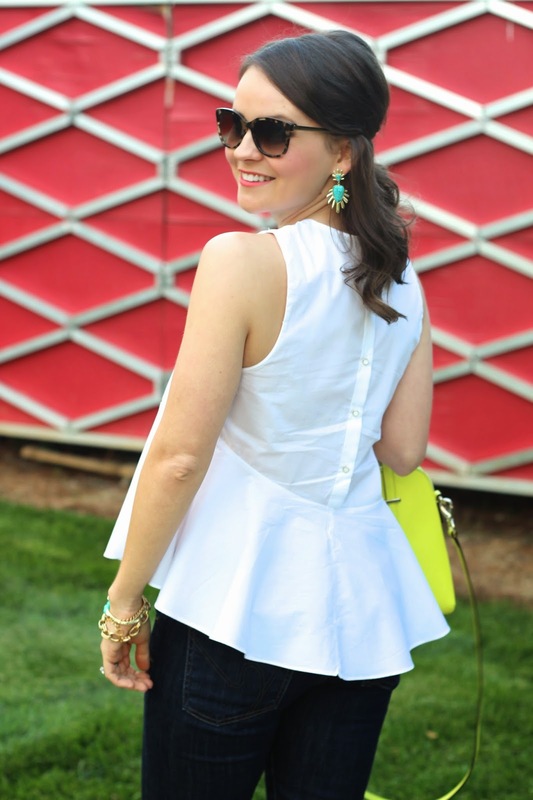 I love ruffles and peplum too! I find that Zara has some petite friendly pieces that are great for us! So pretty and bright! Your purse and shoes are to die for! I love the cut of that shirt and those Vince Camuto wedges are perfection and half the cost of the Kate Spade ones great find!!! Those shoes are great! Wedges are such an awesome shoe in the summer… now I just need to find a pair or two to wear! OMG love those shoes! SO fun! And I love the asymmetrical hemline of that top, it's so different and cute! Gorgeous as always doll! Love the top, wedges, earrings, everything!! I am a sucker for white tops, too – I have so many and have had to consciously not buy any more this spring ha! 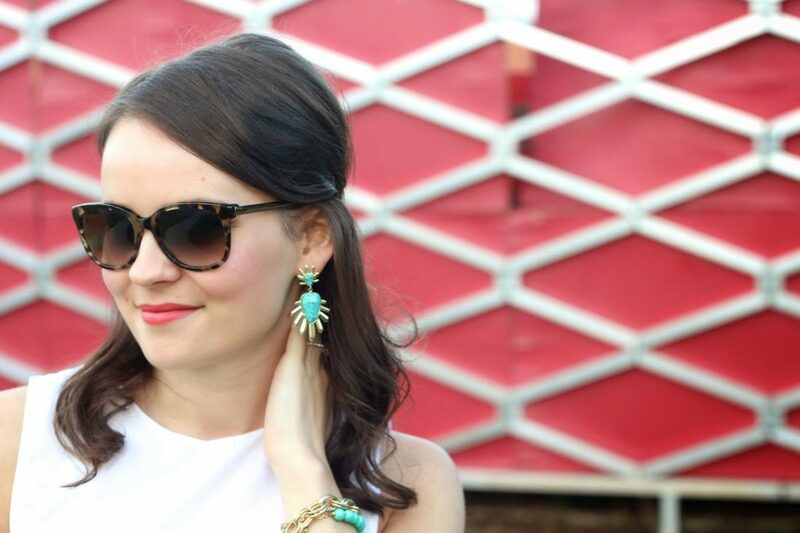 love the way you accessorized !! I love all of the bright colors incorporated into your outfit! So summery!! This outfit is perfect!! I love the simplicity of the white and all the color pops! I have that purse in pink and just started using it – I'm really liking the shape as well as having the shoulder strap! Absolutely loving this whole look – especially those wedges!! Beautiful! 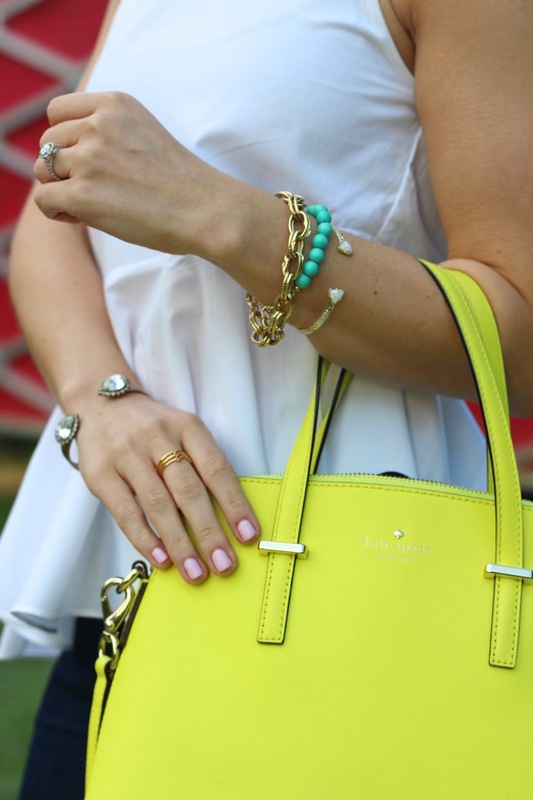 Love the various pops of color…especially the yellow purse!